You are probably here because you are considering taking the plunge and buying yourself an E-bike. There are many advantages to owning an E-bike, and there are some disadvantages. Here are some Advantages And Disadvantages Of Owning An E-bike. Although electric bikes have some disadvantages, I think the positive outweighs the negative. The freedom of having your own transportation that does not cost a fortune is much more appealing than using public transportation or sitting in traffic, and for the moment you are truly free from the bureaucracy of registration, insurance and licensing if your bike is under the right classification. People that own E-bikes have improved fitness because they use them more frequently and ride for greater distances than on a conventional bike. Many people say e-bikes are cheating, but if it gets you out riding, I see nothing wrong with them. Any activity added to your day is always beneficial even moderate amounts. Plus depending on your energy level you can rely less on power and do more peddling. A big issue with commuting to work in nice clothing is that you arrive at work all sweaty. An E-bike can solve this problem by allowing you to peddle less and using more assistance power when going to work. You can have a change of clothing, peddle more and use less battery power for more of a workout on the way home. An E-bike can make biking much less challenging when cycling into headwinds and going up hills. An E-Bike gives you more acceleration then convention bikes and can be safer for driving in busy traffic. This extra acceleration can really help when maneuvering around cars and get you where you are going despite the traffic. 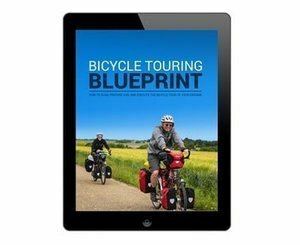 Great for a broad range of people that could use a little assistants and can benefit from cycling. People that otherwise would have to give up cycling due to physical limitations can benefit from an E-bike. People with COPD or asthma, bad knees or have heart conditions all can benefit by using an E-bike. For a senior, an E-bike can be just the thing you need to maintain your independence. An E-bike can keep you riding longer and give you a little boost when you need it. If you are considering getting an E-scooter for your older parent, I would suggest an E-bike over an E-Scooter. I think an E-bike is more natural feeling and they will also get a some physical activity. If they run out of power they can still peddle home. See my post E-bike vs Electric scooter: Which is best for daily commuting? An E-Bike can make it easier to carry heavier loads when shopping and make it easier to have a passenger on board or tow a trailer for children. People that own E-bikes will commute further to work than on a conventional bike. With improved bike paths and more consideration being given to bikes implemented in many cities make travel by bike even more enjoyable. Some E-bikes are small enough or can be folded to take on a train or bus. As with many new bike paths, many cities have added bike racks on city buses. This can make transporting your bike to another area of town easy One caveat is an E-bike can be very heavy so loading your bike on a bus rack could be a little difficult for some people. No more circling to find a parking spot. You can easily take it on an elevator and park it inside for maximum theft safety and storage. Bike racks are becoming more common and are often located even closer to the door than handicap parking. No registration, insurance or license is required to ride an E-bike, provided you are not exceeding the power and speed rating classification in your area. An E-bike gives you a quite enjoyable ride that gives a little extra boost when you need it. It is environmental friendly and can be charged from any standard outlet. An E-bike can be very inexpensive to run. Example to fully charge a battery that will go a range of 30 to 50 miles cost around 10 cents. Much cheaper than gas. Compared to a car you will have much lower maintenance costs on an E-bike. As you know any repairs on an automobile can easily jump up to $500 or more and that may not be all the problems. With a $500 budget you can get a major overhaul done on a bike. There are many advantages to riding an E-bike but what seems to be the biggest advantage is that it is simply fun to ride. You can ride to work with minimal stress and an invigorating ride can really improve your daily mood. It can be a really enjoyable way to commute. Traffic is almost irrelevant when your riding a bike you will never be stuck in traffic and always be moving along at a moderate speed. Unlike sitting frustrated stuck in a car not moving. You may even find yourself looking forward to your daily commute instead of dreading it. Especially in nice weather. As with everything there are always a few disadvantages to owning an E-bike that you may want to consider before going out and buying one. This is the main beef with many people. That E-bikes are too expensive. I would compare the new E-bike market to the plasma TV market twenty years ago. When flat screen TVs first came out they sold for four or five thousand dollars and a few years later there were many being offered for under $2000. Today you can get a big flat screen for under $1000. I think the same is happening with E-bikes. Prices are coming down and more E-bikes are being offered for under $2000 and I believe more really good E-bikes are coming in this price range as demand for E-bikes grows. If you put it into perspective and add up the saving over a few years, E-bikes are not so bad a deal. Consider the cost saving over a few years without having to pay for registration, licensing, insurance, parking and let's not forget gas. Add this up and the monthly saving pays for the bike in a few years. Plus you might loss a few pounds. Not only is the initial cost of an e-bike more than a conventional bike the ongoing maintenance and repair costs can cost much more. E-bikes have three expensive systems a normal bike does not have. The power hub, the battery and the controller all can be quite costly to replace, especially the battery. That is why you want to practice good battery charging habits to ensure you get the most out of your battery. E-bikes normally go a little faster and use power so there is a tendency to use the brakes more and you will have to replace them more often. E-bikes vibrate more and most people have a tendency to ride more on an E-bike. Because of this servicing is required more often on an E-bike. See my posts on Battery Care and Bike Servicing Costs. Many bikes over the years have been getting lighter and stronger made from aluminum or carbon fiber to produce a very light bike. Unfortunately, this is not the case with an E-bike. Batteries have been getting lighter by they still add a significant amount of weight to the overall weight of the bike. The hub motor is also no lightweight and further add to the bikes weight. Due to this extra weight, an E-bike has to be extra strong to carry you and the weight of the bike and some of the lighter materials being used on conventional bikes will not work well with an E-bike. This can be a problem for some people if they have to carry a bike up stairs or lift it onto a bike rack on a bus. Taking the battery off when lifting can make it easier but sometimes this option is not practical. Unlike a gas-powered engine were you just fill up and go a battery requires up to 3 to 4 hours to fully charge. This can be a problem with bad planning and you find yourself with a dead battery. But with proper planning and charging techniques, this problem can be greatly reduced. The good thing is you can still peddle home if you do run out of power. It would be a nice world if people would not steal your stuff. But unfortunately this is not the case. E-bikes cost more and have more expensive parts make E-bikes an attractive target for a thief. Many convenient features designed for easy maintenance are also ideal for thieves to quickly remove parts. The best thing to do is bring your bike inside if you can and if not buy good quality locks and lock up your bike properly. See ​How to lock up you E-bike properly. Many E-bikes have a range of between 30 and 50 miles on a single charge. This limitation makes it important to plan your trip and figure out how far you have to go before running out of power and have to rely on peddle power alone. There are a number of companies like Tesla that are working on improving rechargeable batteries making them more powerful and lighter and able to get a further range. I think we will see more improvement in battery life in the next few years. Unless you live in southern California you will probably encounter rain and nasty weather on a number of occasions when you are commuting to work. 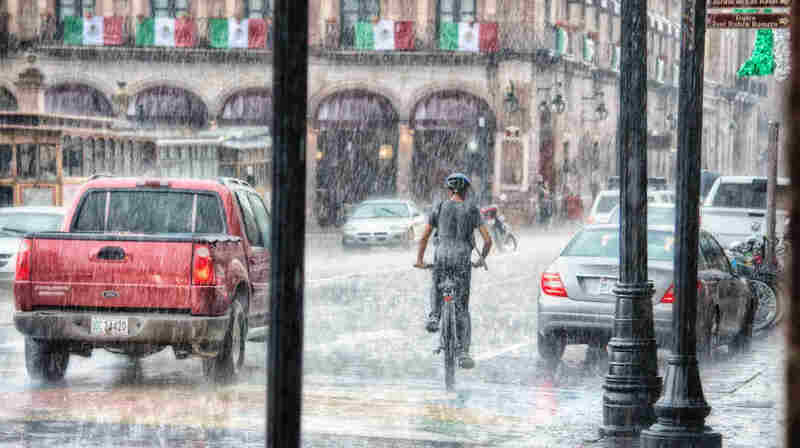 Biking in the rain can be no fun and sometimes downright dangerous. Visibility is more limited to you and the other drivers. Operating a bike in the rain can be more difficult. Wet brakes don't work very well and traction can get very slippery especially at the start of a rain. If it is a washout of a day take a bus or get a ride. There are also a number of ponchos available that will cover you and your bike when riding in the rain. See Amazon for rain ponchos. You don't have to worry about riding your E-bike in the rain. Most E-bikes are designed to take a little splashing without any problems. Just don't submerge your E-bike in water and don't wash your E-bike with a pressure washer. A number of people say that using an E-bike is cheating and you are not getting as much exercise. In some ways, they may be right if you use just throttle control without pedaling. But if an E-bike actually gets you out riding whereas with a regular bike you would leave it at home, than the E-bike wins for fitness. A little is better than nothing and you have the option to do more if you peddle harder and rely less on power. E-bikes are not a great bike to sit around not being used, they like to be used regularly. Not using your E-bike regularly and improper battery care will drastically shorten the life of the battery and they are not cheap to replace. Learn more about Battery Care. E-bike batteries cannot be taken on airlines because some lithium batteries have exploded in devices in the past. Many batteries are also made from toxic chemicals and cannot be recycled. Replacing a bad battery is also quite expensive. You can only take lithium-ion batteries of between 101-160 watt-hours with airline approval. Most E-bike batteries are 300 watt-hours or more. I have seen some airlines are allowing E-bike batteries on board check with your airline for their policy. Many drivers are not very considerate to bikes on the road especially in North America were bike transportation has always taken a back seat to the automobile. E-bikes don't go that fast so getting around in traffic can be more dangerous. Bad weather also makes it more difficult for drivers to see you. That is why being seen and wearing bright clothing is very important for proper road safety. Riding an E-bike is less comfortable than driving in a car. On hot days there is no AC and on cold days there is no heat. Answering a phone call or listening to music is not as convenient and can be much more dangerous on a bike. Stopping off at the grocery store or anywhere for a number of items is not as easy. An E-bike has a limited load carrying capabilities. This can pose a problem depending what you need to bring back and forth to work. Some cycle seats can be quite uncomfortable and can be a major factor in why someone does not like riding their bike. The good news is there are a number of aftermarket saddles with gel foam and ergonomically designed for maximum comfort and blood flow in the lower regions. See Amazon for Bike Saddles. If you only plan to cycle only a few times a year it may be better to buy a good conventional bike. Gas prices are never going to go down, and traffic is not going to get better soon. An E-bike can be a great alternative to a conventional bike in that it allows people to ride a bike without working up a sweat and to help out people with a few health issues that would otherwise not ride a bike. An e-bike could be just the thing to get rid of that second car. Removing a car payment, insurance, parking and maintenance can easily pay for an E-bike in a few months. I think riding a bike always awakens the inner child in us. You feel the freedom of childhood, and it can be a great destresser on the way home from work. If you live in a moderate temperature and can cycle year round and E-bike can be an excellent choice. Be sure you plan to use your E-bike regularly to get the most out of it. Before buying an E-bike consider that an e-bike costs more than an average bike and that batteries do not last forever. If you only plan to cycle a few times a year, it may be better to buy a good conventional bike. Batteries like to be used, and if you just let an E-bike sit for a few years, the cells will most likely be dead and not hold a charge very well. You most likely will find that if you get a new E-bike that you will take it out for a ride a lot more then a convention bike simple because it's more fun.